Purdue Technical Assistance Program, IBM, General Motors, Kimberly-Clark Corp.
Chiam, T. (2004). Modeling and Application of the Best-Matching Protocol. MS thesis, School of Industrial Engineering, Purdue University, West Lafayette, IN, USA. Kang, H. (1994). Development of Information Exchange Protocols for Distributed Inspection Integration. MS thesis, School of Industrial Engineering, Purdue University, West Lafayette, IN, USA. Velasquez, J. D., Nof, S. Y. (2008). 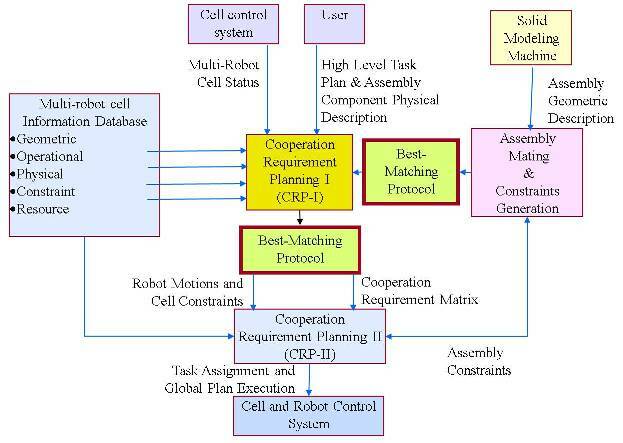 Integration of Machine-Vision Inspection Information for Best-Matching of Distributed Components and Suppliers, Computers in Industry, 59(1), 69-81. Velasquez, J. D., Nof, S. Y. (2008). 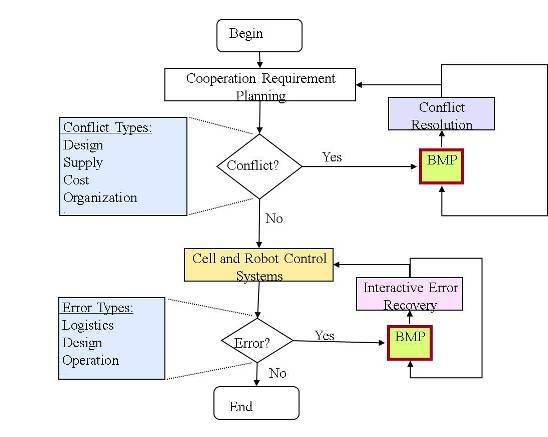 A Best-Matching Protocol for Collaborative e-Work and e-Manufacturing, International Journal of Computer Integrated Manufacturing, 21(8), 943-956. Velasquez, J. D., Nof, S. Y. (2007). A Best Matching Protocol for Supplier Selection in e-Work Networks, Proceedings of the 19th International Conference on Production Research. Velasquez, J. D., Nof, S. Y. (2007). Best Matching Protocol for Cooperation Requirement Planning in Distributed Assembly Networks, Intelligent Assembly and Disassembly Conference IAD'07.